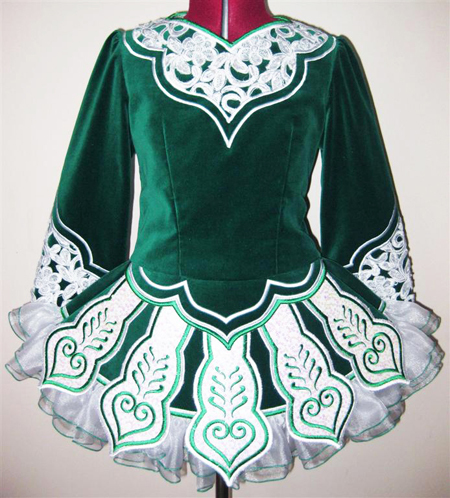 Centre front neck to dropped waist: 11½"
Centre back neck to dropped waist: 14"
Green velvet bodice and return pleats. White cut-work lace sleeves, bodice yoke, and shawl. 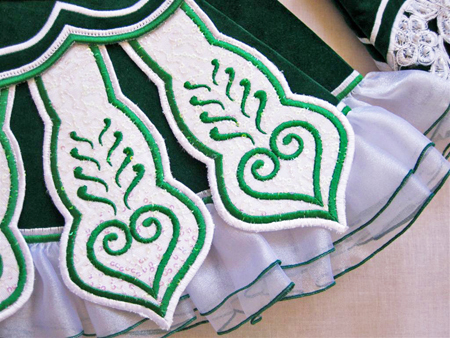 Green embroidery on white sequin panels. 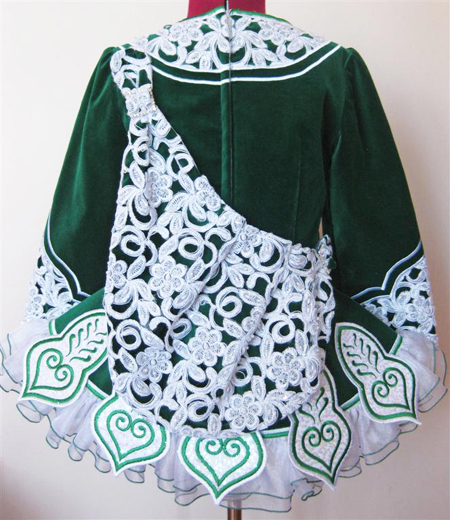 Double organza ruffle with green trim. Colourful polka dot skirt lining.